This is a refined and specialised skill and is an intrinsic part of auctioning. The subtle and varied nuances of every invoice of tea is first tasted, judged and valued by tea tasters before offering at auctions. His description of the liquor is based on taste, sight, touch and smell. 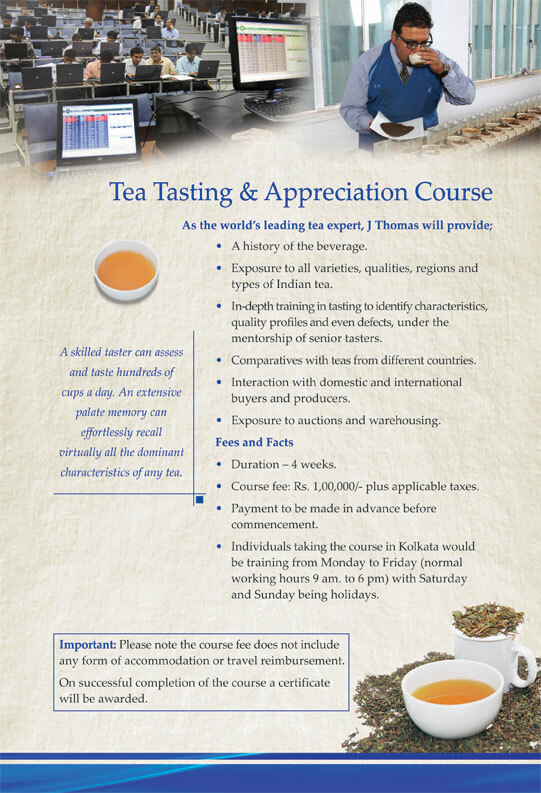 A taster may deal with several hundred tea samples in a day. In his evaluation, he brings his knowledge and experience of a particular estate to make his conclusions. 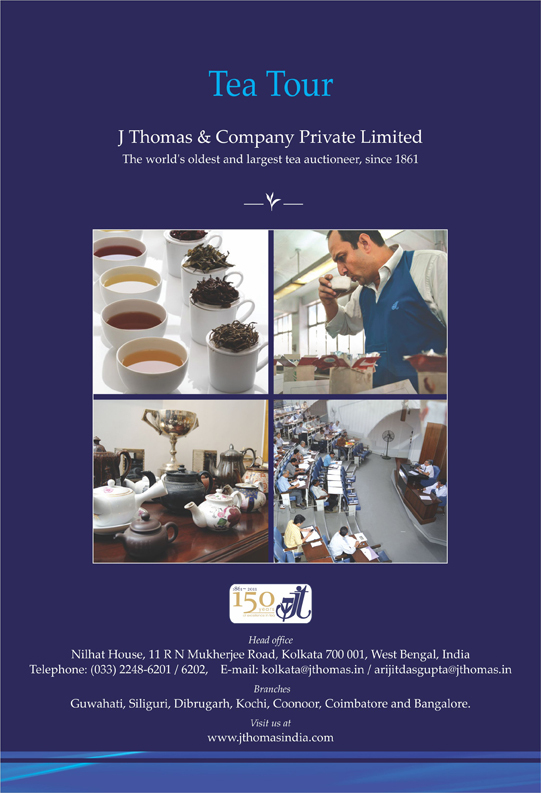 Around one third of all tea auctioned in India is handled by J. Thomas. The company conducts auctions at Kolkata, Guwahati, Siliguri, Cochin, Coonoor, and Coimbatore and has correspondents in all auction centres worldwide: Colombo, Chittagong, Mombasa, Jakarta, Limbe. Coffee harvest in India begins from November. Arabica Coffee is harvested first followed by Robusta Coffees and the entire harvesting is completed by end March. Ripe Cherries are harvested by hand, stripped from the tree with both ripe and over ripe beans. These processes are called selective picking and stripping. To maximize the amount of ripe coffees harvested, it is necessary to selectively pick the ripe coffee beans from the tree by hand and live behind the unripe, green beans to be harvested at a later time. 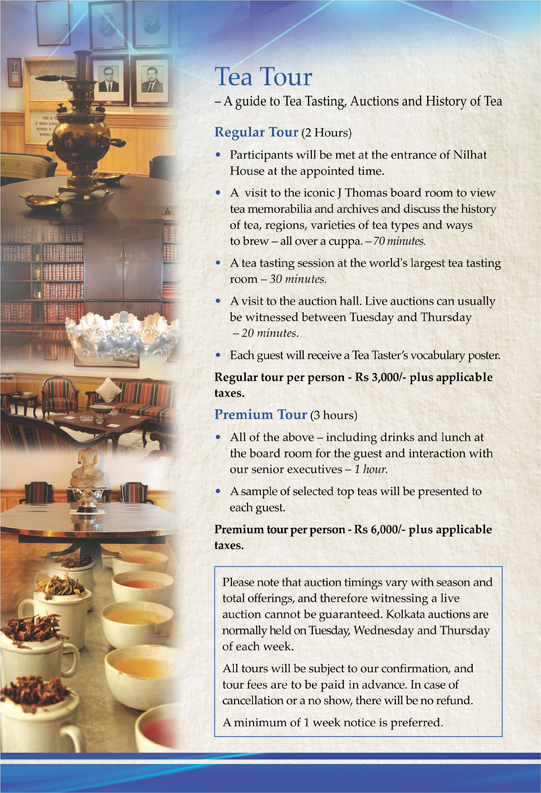 The Indian Coffee Trade Association (ICTA) was established at Bangalore during Feb 1993 to conduct coffee auctions. 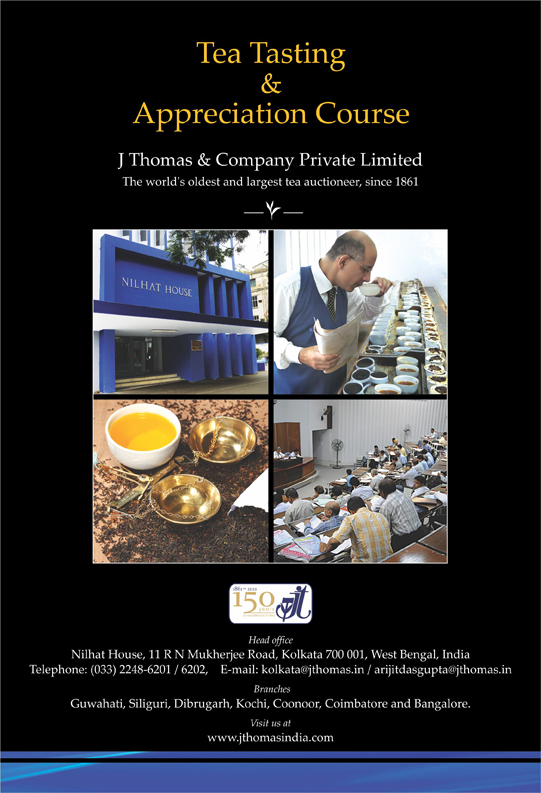 J. THOMAS & CO PVT LTD., a member of ICTA has been auctioning coffee from the very first sale held on April 1993, currently auctions are held every Thursdays at the premises of Indian Coffee Board Auction Hall at Bangalore, only cured coffee (Green Beans) of all varieties are offered for sale in our catalogue brought out each week. Coffees sold in the auction per 50 Kgs price. Prices are based on the New York and London coffee future settlement rates ARABICA Coffee price are based on the New York terminal closing price and ROBUSTA Coffee price are based on the London terminal closing price respectively. Coffees are offered from all the traditional Southern States producing coffees from Karnataka, Tamilnadu and Kerala, also Non-Traditional areas coffees from Andhra Pradesh and from the North East Region are offered through our catalogue. Certified Specialty coffee and Organic Coffee are also been offered through our catalogue. Coffee Producers process and store their coffees in the curing works. Samples are drawn by the Auctioneers and displayed at the auction. Auctioneers charge the seller a fee of 1% of the sale value as selling Brokerage. All sections of trade Exporters, Roasters and Merchant Traders participate in the weekly auctions and bid for the coffees on offer, as per the quality of coffee samples displayed each lot is knocked down to the highest bidder if the price meets the Auctioneers approval. on 2018-06-29. Valuation for Catalogue 27 has been updated. on 2018-06-28. Price and Post Sale Details for Catalogue 26 has been uploaded. on 2018-06-28. Valuation for Catalogue 27 has been updated. on 2018-06-27. Catalogue 28 has been updated / uploaded. on 2018-06-27. Price and Post Sale Details for Catalogue 26 has been uploaded. correspondents in all auction centres worldwide: Colombo, Chittagong, Mombasa, Jakarta, Limbe. offered for sale in our catalogue brought out each week. effortlessly recall virtually all the dominant characteristics of any tea. A guide to Tea Tasting, Auctions and History of Tea. View the weekly market report of various centres along with their comparison with previous year sales. View the sold prices of 4 topmost marks. View the catalog of whichever centre, tea type and sale you want. You can also select your desired lots and send them to your mail or download them. Checkout the sold price of lots that are being sold at live auctions. This is also available as an App for your android devices. View the market synopsis for sale 14/2019	. Market opened to good demand. All sorts seen so far are tending irregularly lower.. Read more. Market opened to good demand. Select clean grainy liquoring teas selling in line with competition. Remainder irregular and lower.. Read more. Market opened to strong demand. Whole leaf and brokens selling at fully firm rates. Fannings irregularly lower and at times witnessing withdrawals. . Read more. Market opened to fair demand. Selected liquoring Assams sold well in line with quality. Dooars tended easier following quality with plainer sorts seeing some withdrawals. . Read more. Market opened to good demand. Small weight of good Assams seen so far tending irregularly lower. Good Dooars selling around last levels, mediums barely steady and irregularly easier. . Read more. GOOD DEMAND. BEST/GOOD SORTS SOLD SO FAR ARE IRREGULAR AROUND LAST. MEDIUM TEAS TENDING LOWER FOLLOWING QUALITY. PLAINER CATAGORIES NOT YET OFFERED. . Read more. MARKET OPENED TO GOOD DEMAND. NOMINAL QUANTITY OF BEST DOOARS ARE FIRM TO OCCASIONALLY DEARER. MEDIUM CATEGORIES ARE IRREGULAR AROUND LAST. PLAINER TEAS ARE LOWER. . Read more. Market opened to fair demand. All sorts irregular and tending lower.. Read more. Market opened to good demand for nominal quantity of new season Assams at levels lower than last year. Dooars fair demand and barely steady. Old season teas readily absorbed.. Read more. Market opened to fair demand. Nominal weight of new season Assam brokens selling well, fannings seeing some withdrawals. Good Dooars selling between 205-230 while plainer Dooars selling between 115-135. . . Read more. Market opened to good demand. Good and best new season teas on offer selling at levels lower to last week. Fannings met with lesser demand and selling irregularly easier. Select clean grainy mediums barely steady. Remainder irregular. Plainer descriptions struggling to sell.. Read more. Market opened to strong demand. All sorts readily absorbed at fully firm rates. . Read more. FAIR DEMAND.NOMINAL QUANTITY OF NEW SEASON GOOD/MEDIUM TEAS ON OFFER ARE SELLING IRREGULARLY AROUND LAST LEVELS. BOUGHT LEAF LEVELS ARE LOWER COMPARED TO LAST WEEK AND ALSO NOTICING WITHDRAWALS. BEST SORTS NOT YET OFFERED. . Read more. Market opened to good demand. Only Dooars new season teas on offer. Good Dooars Brokens selling between 220 - 240, Fannings in between 200 - 230 depending on quality. Better Dooars BLF selling upto 170 while remainder BLF selling between 120 - 140 in line with quality. These levels are slightly lower than the corresponding sale of 2018 . Read more. New season teas met with good demand. Good and best category opened at levels lower than last year. Medium and plainers followed a similar trend.. Read more. New season teas met with good demand. Best category brokens opened at levels at par with last year while the fannings were tending lower compared to the previous year. Medium and plainer catagories also following a similar trend with the fannings tending dearer at times.. Read more. Nominal weight of new season teas on offer met with good demand. Old season teas met with fair demand and sold in line with quality.. Read more. Market opened to good demand for nominal weight of new season on offer. Old season readily absorbed.. Read more. Market opened to good demand. Teas are selling in line with quality. . Read more. Market opened to strong demand for nominal weight of teas on offer All sorts selling at fully firm rates. . Read more. Market opened to good demand. All teas selling at irregular levels following quality (No new season teas in offer).. Read more. Market opened to good demand. Offerings primarily consists of end season teas which are selling in line with quality. . Read more. Market opened to strong demand for old season teas. All sorts selling in line with quality (No new season teas on offer).. Read more. Market opened to good demand. Offerings mainly comprising of end season teas and are selling in line with quality. . Read more. Market opened to good demand. Teas are selling in line with quality, poorer teas getting discounted. . Read more. Market opened to good demand. All sorts tending easier following quality. . Read more. GOOD DEMAND. ALL SORTS SOLD SO FAR ARE IRREGULARLY LOWER FOLLOWING QUALITY.. Read more. Market opened to good demand. Assams selling in line with quality. Dooars not seen so far. . Read more. Market opened to fair demand. All sorts tending easier.. Read more. Market opened to good demand. All sorts selling at levels irregular around last following quality.. Read more. Market opened to strong demand for nominal weight of teas on offer Select few clean well made and tippy invoices readily absorbed. 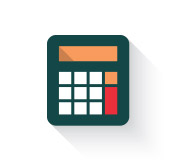 Remainder selling at fully firm rates. . Read more. Market opened to good demand. Assams tending easier following quality.Cachars and Dooars yet to sell. . Read more. Market opened to good demand. All sorts irregularly easier, especially browner end of season teas. . Read more. GOOD DEMAND. MEDIUM AND PLAINER SORTS SOLD SO FAR ARE IRREGULARLY LOWER FOLLOWING QUALITY. BEST/GOOD CATEGORIES YET TO BE OFFERED. . Read more. Market opened to strong demand for nominal weight of teas on offer. Select few clean well made and earlier invoices selling at fully firm rates. Remainder browner stalky end season sorts irregular around last. . Read more. Market opened to good demand. Assams and Cachars seen so far tending easier following quality. Dooars yet to sell. . Read more. Market opened to good demand. Assams barely steady to irregularly easier with poorer teas getting discounted further. . Read more. GOOD DEMAND. GOOD AND BEST SORTS SOLD SO FAR ARE IRREGULARLY LOWER FOLLOWING QUALITY. MEDIUM AND PLAINER TEAS NOT YET OFFERED.. Read more. Market opened to strong demand. Select few clean well made and earlier invoices of whole leaf, brokens and fannings selling at fully firm rates. Remainder end season whole leaf brokens and fannings irregular around last. . Read more. Market opened to fair demand. All sorts irregular around last.. Read more. Fair demand. Nominal weight of whole leaf on offer readily absorbed. Brokens and fannings witnessed withdrawals. Selective export enquiry. Local buyers operating. HUL and TGBL quiet. . Read more. Assams meeting with good demand and selling in line with quality. Browner end of season teas declining in value. Cachars seen so far tending easier and witnessing withdrawals. . Read more. Market opened to good demand. Select few liquoring sorts selling well following competition. Others irregularly lower.. Read more. Market opened to fair demand. Plainer categories and secondaries selling readily. Remainder tending easier and witnessing withdrawals. . Read more. GOOD DEMAND. GOOD AND BEST TEAS SOLD SO FAR ARE IRREGULARLY LOWER FOLLOWING QUALITY. MEDIUM AND PLAINER CATEGORIES FOLLOWING A SIMILAR TREND.. Read more. Market opened to good demand. All sorts tending easier following quality.. Read more. Market opened to good demand. All sorts tending irregularly easier following quality.. Read more. Market opened to strong demand. Select few clean well made and earlier invoices of whole leaf, brokens and fannings selling at fully .firm rates. Remainder stalky end season whole leaf, brokens and fannings irregularly lower following quality. . Read more. Market opened to fair demand. Selected earlier invoices readily absorbed.Remainder browner/fibrous sorts tending easier and witnessing some withdrawals. Dooars and Cachar not yet seen. . Read more. Market opened to fair demand. All sorts easier with better teas witnessing some withdrawals. . Read more. Market opened to strong demand. Select few clean well made and earlier invoices of whole leaf, broken and fannings selling readily. Remainder stalky end season whole leaf, broken and fannings irregularly lower following quality. . Read more. Market opened to fair demand. All categories tending easier following quality. Well made secondaries readily absorbed.. Read more. Market opened to good demand. All sorts irregularly easier following quality.. Read more. Market opened to fair demand. Assams tending easier following quality. Dooars not seen so far. . Read more. Market opened to fair demand.All sorts tending easier following quality. End of season teas witnessing some withdrawals.. Read more. Market opened to good demand. Select few cleaner grainer sorts barely steady. Remainder irregulary easier following quality.. Read more. GOOD DEMAND. MEDIUM AND PLAINER TEAS SOLD SO FAR ARE IRREGULARLY LOWER, WITH BROWNER DESCRIPTION NOTICING WITHDRAWLS. GOOD AND BEST SORTS YET TO BE OFFERED.. Read more. Market opened to good demand. Selected liquoring Assams irregularly easier. Remainder tending easier following seasonal decline in quality. Dooars and Cachars similar trend. . Read more. Market opened to strong demand. Select few clean well made and earlier invoices of whole leaf brokens and fannings irregular around last. Remainder stalky end season whole leaf, brokens and fannings irregularly lower following decline in quality. . Read more. Market opened to fair demand. Selected earlier teas selling well. Remainder tending easier and seeing some withdrawals . Read more. Market opened to good demand. Liquoring Assams meeting with good demand and selling readily. Remainder tending easier with end of season teas witnessing less demand. . Read more. Market opened to fair demand. All sorts easier following quality. . Read more. Market opened to fair demand. Select few best categories barely steady. Remainder irregular and lower following quality.. Read more. Market opened to strong demand. Clean well made and earlier invoices of whole leaf, brokens and fannings firm around last. Remainder end season whole leaf, brokens and fannings selling at irregularly lower rates following decline in quality. . Read more. GOOD DEMAND. MEDIUM AND PLAINER TEAS SOLD SO FAR ARE IRREGULARLY EASIER WITH BROWNER DESCRIPTIONS NOTICING WITHDRAWALS. GOOD/ BEST SORTS NOT YET OFFERED . Read more. Fair demand. Nominal weight of whole leaf on offer readily absorbed. Brokens and fannings faced resistance and sold at lower levels. Limited export enquiry. Local buyers operating. HUL and TGBL quiet. . Read more. Market opened to good demand. Select Assam, s maintaining quality around last. Remainder irregularly easier following decline in quality. Dooars not yet seen. Read more. Market opened to good demand. Selected liquoring Assams selling well. Remainder irregularly easier following quality with browner sorts declining further. . Read more. Market opened to strong demand. Clean well made and earlier invoices of whole leaf, brokens and fannings selling at firm to occasionally dearer rates. Remainder whole leaf and brokens firm around last. Smaller, browner and stalkier fannings irregular around last. . Read more. Market opened to fair demand. All sorts tending easier following quality. . Read more. Market opened to fair demand. Nominal weight of good liquoring sorts sold well with competition. Others irregular and tending easier.. Read more. Fair demand. Some whole leaf on offer absorbed. Large weight of brokens and fannings tended easier and witnessed some withdrawals. Export enquiry only on whole leaf grades. Local buyers operating. HUL selective. TGBL quiet. . Read more. Market opened to fair demand. Few selected earlier teas maintaining quality selling well. Remainder tending easier following decline in quality. Dooars not yet seen. . Read more. GOOD DEMAND. MEDIUM AND PLAINER SORTS SOLD SO FAR ARE FIRM AROUND LAST LEVELS. GOOD/BEST VARIETIES NOT YET OFFERED. . Read more. Market opened to good demand. Few Assams maintaining quality barely steady. Remainder easier following quality. Dooars similar trend.. Read more. GOOD DEMAND. THE MEDIUM AND PLAINER SORTS SOLD SO FAR ARE IRREGULAR AROUND LAST.. Read more. Fair demand. Whole leaf teas on offer sold in line with quality. Brokens and fannings witnessed some withdrawals. Limited export enquiry. Local buyers operating. HUL selective, TGBL quiet. . Read more. Market opened to strong demand. Clean well made and earlier invoices of whole leaf, brokens and fannings selling at fully firm rates. Remainder whole leaf and brokens irregular and at times tending lower following decline in quality. Smaller, browner and stalkier fannings and secondaries selling at irregularly lower rates and also witnessing withdrawals. . Read more. Market opened to fair demand. Good and best category tending irregularly easier. Clean mediums and plainer category steady. 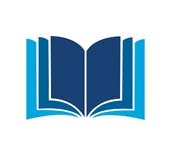 Remainder getting discounted. . Read more. Market opened to good demand. Few selected well made Assams barely steady. Remainder tending easier following decline in quality. Dooars not seen yet. . Read more. Market opened to fair demand. All sorts tending easier. Well made secondaries readily absorbed.. Read more. Market opened to good demand. Good category barely steady. Remainder selling in line with quality. . Read more. All sorts tending easier with decline in quality.. Read more. Market opened to strong demand. Clean well made and earlier invoices of whole leaf and brokens selling at firm to occasionally dearer rates.Similar fannings firm around last. Remainder whole leaf and brokens irregular around last. Smaller and browner fannings irregular and at times tending lower. . Read more. Market opened to fair demand. Nominal weight of whole leaf teas absorbed. Large weight of brokens and fannings on offer witnessed withdrawals. HUL operated. Limited export enquiry. Local Market lent fair support especially on brokens and fannings. . Read more. Market opened to good demand. Assams tending irregularly easier following a decline in quality. Dooars not seen. . Read more. Market opened to fair demand. Select good category barely steady. Remainder irregularly lower following quality. . Read more. GOOD DEMAND, GOOD AND BEST SORTS SOLD SO FAR ARE IRREGULARLY EASIER WITH BROWNER DESCRIPTIONS NOTICING WITHDRAWLS. NOMINAL QUANTITY OF MEDIUM TEAS SEEN SO FAR ARE IRREGULAR AROUND LAST LEVELS. PLAINER TEAS YET TO BE OFFERED.. Read more. Market opened to good demand. All sorts tending easier especially teas showing a decline in quality. Dooars and Cachars not seen so far. . Read more. Market opened to strong demand. Clean well made and earlier invoices of whole leaf and brokens selling at fully firm rates. Similar fannings, remainder whole leaf and brokens irregular around last. Smaller and browner fannings selling at irregularly lower rates. . Read more. GOOD DEMAND, GOOD AND BEST SORTS IRREGULARLY EASIER FOLLOWING QUALITY. MEDIUM AND PLAINER SORTS SELLING AROUND LAST LEVELS. . Read more. Market opened to fair demand. Good and best descriptions easier following quality. Select clean grainy mediums and plainers irregular around last. Remainder lower. Browner and end season teas witnessing withdrawals.. Read more. Market opened to fair demand. Good and medium sorts tending easier following quality. Browner and end season teas getting discounted and meeting with some withdrawals. Clean black plainer categories steady.. Read more. Good demand. Whole leaf teas on offer sold in line with quality. Well made brokens and fannings absorbed. Remainder witnessed some withdrawals . Some export enquiry. Local market mainstay. HUL and TGBL silent. . Read more. Market opened to good demand. Assams tending easier following decline in quality. Dooars and Cachars not seen yet. . Read more. Market opened to good demand. Better liquoring teas easier. Plainer categories around last levels. . Read more. Market opened to strong demand. Clean well made and earlier invoices of whole leaf firm around last. Similar brokens and fannings irregular around last. Remainder whole leaf and brokens irregular and at times tending lower following quality. Smaller and browner fannings irregularly lower and at times witnessing withdrawals. . Read more. GOOD DEMAND. GOOD AND BEST SORTS ARE IRREGULAR FOLLOWING QUALITY. MEDIUM AND PLAINER SORTS SOLD SO FAR ARE FIRM AROUND LAST LEVELS.. Read more. Market opened to good demand. Good and best categories barely steady. Select mediums and plainer around last. Remainder lower following quality.. Read more. Good demand. Whole leaf grades and well sized brokens readily sold. Greenish fannings absorbed while remainder witnessed some withdrawals. Exporters active. Local market good support. HUL operating. TGBL quiet. . Read more. Market opened to good demand. Assams maintaining quality around last. Remainder irregularly easier particularly browner sorts. Dooars not yet seen. . Read more. Market opened to good demand. Good category barely steady. Remainder irregular following quality.. Read more. Market opened to good demand. Liquoring Assams and well made mediums steady. Browner sorts irregularly easier Dooars and Cachars similar trend. . Read more. Market opened to strong demand. Clean well made and earlier invoices of whole leaf selling at fully firm rates. Similar brokens and fannings irregular around last. Remainder whole leaf and brokens irregular and at times tending lower following quality. Smaller and browner fannings irregularly lower and witnessing withdrawals. . Read more. Market opened to good demand. Good and best descriptions barely steady. Select clean grainy mediums and plainers around last. Remainder selling easer in decline with quality.. Read more. GOOD DEMAND. MEDIUM AND PLAINER SORTS SOLD SO FAR ARE FIRM AROUND LAST LEVELS. GOOD AND BEST VARIETIES NOT YET OFFERED.. Read more. Good demand. All whole leaf grades firm to dearer. Well made brokens readily absorbed. Fannings faced some resistance and witnessed withdrawals. Local buyers mainstay.HUL and TGBL operated. Some export enquiry. . Read more. Market opened to good demand. Select best category steady around last. Clean grainy mediums and secondaries readily absorbed. Remainder irregular following quality.. Read more. Market opened to good demand. Few selected good leaf Assams around last. Plainer categories firm. Browner/fibrous Assams tending easier following a decline in quality. Dooars not yet seen. . Read more. Market opened to good demand. Assams tending firm around last with few browner teas irregularly easier. Dooars and Cachars seen so far similar trend. . Read more. Market opened to strong demand. Clean well made and earlier invoices of whole leaf, brokens and fannings irregular around last. Remainder whole leaf and brokens irregular and at times tending lower following quality. Smaller and browner fannings irregularly lower and at times witnessing withdrawals. . Read more. GOOD DEMAND. GOOD AND BEST SORTS SOLD SO FAR ARE FIRM TO OCCASIONALLY DEARER. MEDIUM TEAS SELLING AROUND LAST LEVELS. PLAINER VARIETIES NOT YET OFFERED.. Read more. Market opened to good demand. Good and best descriptions barely steady. Select medium and plainer categories around last. Remainder irregular and lower following quality.. Read more. Good demand. All grades readily absorbed. Local buyers main support. Some export enquiry. HUL selective. TGBL quiet. . Read more. Market opened to good demand. Select few best and good category brokens maintaining quality are firm. Post puja quality however tending easier. Fannings witnessing good demand at steady rate. Medium and plainer categories yet to sell.. Read more. Market opened to good demand. Liquoring Assams barely steady and irregularly easier. Small weight of medium Assams seen so far similar trend. Plainer Assams and Dooars not yet seen. . Read more. Market opened to good demand. Liquoring Assams around last. Secondaries meeting with competition. Dooars and Cachars seen so far similar trend. . Read more. Market opened to strong demand. Clean well made whole leaf firm around last. Similar brokens and fannings irregular around last. Remainder whole leaf, brokens and fannings irregular and at times lower following quality. . Read more. GOOD DEMAND. GOOD AND BEST SORTS SOLD SO FAR ARE IRREGULAR AROUND LAST. MEDIUM AND PLAINER CATEGORIES ARE FIRM TO OCCASIONALLY DEARER.. Read more. Market opened to good demand.Good and best descriptions are steady. Clean grainy mediums and plainers around last. Remainder irregular.. Read more. Good demand. Whole leaf grades readily absorbed. Brokens and fannings of current manufacture improved enquiry. Reprint teas witnessed some resistance. Fair export enquiry. HUL operating. TGBL selective. Local buyers active. . Read more. Market opened to good demand. Good liquoring brokens around last, fannings firm to dearer at times. Remainder irregular and easier following quality. Browner sorts witnessing withdrawals.. Read more. Market opened to good demand. Small weight of good Assams seen so far meeting with less demand than last. Medium and plainer categories around last. Browner teas tending irregularly easier. Small weight of Dooars and Cachars seen barely steady and irregularly easier. . Read more. Market opened to good demand. Liquoring Assams barely steady to irregularly easier. Browner teas irregularly easier. Plainer categories firm. . Read more. Market opened to good demand. Clean well made and earlier invoices of whole leaf, brokens and fannings selling at firm to occasionally dearer rates. Remainder whole leaf, brokens and fannings irregular and at times lower following quality. . Read more. GOOD DEMAND. MEDIUM/PLAINER VARIETIES SOLD SO FAR ARE FIRM TO OCCASIONALLY DEARER. GOOD/BEST VARIETIES YET TO BE OFFERED. . Read more. Market opened to good demand. Good and best descriptions irregularly lower. Selected clean, grainy mediums and plainers around last. Remainder barely steady.. Read more. Fair demand. Whole leaf grades showing a seasonal improvement readily absorbed at attractive prices. Remainder sold in line with quality and also witnessed some withdrawals. Improved demand on brokens and well sized fannings. TGBL and HUL operated. Some export enquiry. Local market good support. . Read more. Market opened to good demand. Best category brokens barely steady. Fannings receiving good enquiry and selling at firm to dearer levels at times. Remainder irregular and lower with quality.. Read more. Market opened to good demand. Assams maintaining quality irregular around last. Browner teas tending irregularly easier. Small weight of Dooars seen so far following similar trend. . Read more. Market opened to good demand. Good and best categories barely steady. Remainder irregular. Selective clean grainy mediums around last. Well made secondaries and plainers selling well in line with competition.. Read more. Market opened to good demand. Good liquoring teas sold so far are around last. Remainder irregular following quality.. Read more. GOOD DEMAND. GOOD/BEST SORTS SOLD SO FAR ARE FIRM TO OCCASIONALLY DEARER FOLLOWING COMPETITION. MEDIUM AND PLAINER VARIETIES ARE EREGULAR AROUND LAST LEVELS. . Read more. Market opened to good demand. Liquoring and cleaner Assams fully firm to occasionally dearer. Browner descriptions irregular around last. Dooars and Cachars similar trend. . Read more. Market opened to good demand. Clean well made whole leaf, brokens and fannings firm to occasionally dearer. Remainder whole leaf, brokens and fannings irregular around last. . Read more. Fair demand. Whole leaf grades maintaining some quality readily absorbed. Remainder sold at lower levels and witnessed withdrawals. Improved demand on well sized brokens and fannings.. TGBL and HUL operated. Some export enquiry on fannings. Local market good support.. Read more. Market opened to good demand. Good leaf Assams selling at steady rates with bolder brokens appreciating. Browner teas barely steady and irregularly easier. Nominal weight of good Dooars seen so far firm to occasionally dearer. Remainder Dooars around last. . Read more. Market opened to strong demand. All sorts fully firm to dearer.. Read more. Market opened to strong demand. Clean well made whole leaf, brokens and fannings selling at firm to dearer rates. Remainder whole leaf, brokens and fannings following similar trend with the secondaries tending irregularly easier. . Read more. GOOD DEMAND. GOOD AND BEST SORTS SOLD SO FAR ARE FIRM AND OCCASIONALLY DEARER FOLOWWING QUALITY. MEDIUM AND PLAINER VARIETIES ARE IRREGULAR AROUND LAST.. Read more. Market opened to good demand. Good and best descriptions around last. Selected mediums and plainers around last. Remainder irregular. Well made secondaries selling well in line with competition and readily absorbed.. Read more. Fair demand. Whole leaf grades maintaining some quality readily absorbed. Remainder tended lower and witnessed withdrawals. Brokens and Fannings less enquiry. Selective export enquiry. TGBL operating. HUL selective. Local market good support. . Read more. Market opened to good demand. Good liquoring sorts sold so far barely steady. Remainder irregular following quality.. Read more. Market opened to good demand.Liquoring Assams barely steady. Bolder brokens and fannings better enquiry. Mediums are irregularly easier. Dooars and Cachars not yet seen. . Read more. Market opened to good demand. Liquoring Assams firm. Mediums irregular around last. Dooars and Cachars barely steady and irregular around last. . Read more. Market opened to strong demand. All sorts selling at fully firm to dearer rates, particularly whole leaf grades. . Read more. GOOD DEMAND. GOOD AND BEST SORTS SOLD SO FAR ARE FIRM TO OCCASIONALLY DEARER FOLLOWING QUALITY. MEDIUM AND PLAINER VARIERTIES ARE IRREGULAR AROUND LAST.. Read more. Market opened to strong demand. Selected good and best around last. Clean grainy mediums and plainers selling well in line with competition. Remainder irregular.. Read more. Fair demand. Whole leaf grades maintaining some quality, absorbed. Remainder witnessed withdrawals. Well-made brokens sold readily and fannings faced some resistance. Selective export enquiry. TGBL active. Local market good support. . Read more. Market opened to good demand. Good liquoring teas selling around last. Remainder irregular following quality. Plainer sorts tending easier.. Read more. Market opened to good demand. Liquoring Assams and well made mediums irregular around last. Browner and fibrous sorts tending lower. Dooars and Cachars not seen so far. . Read more. Market opened to good demand. Best descriptions steady. Good and selected mediums and plainers around last. Remainder irregular. Well made secondaries readily absorbed.. Read more. Market opened to good demand. Good liquoring teas selling around last. Clean grainy mediums also following the similar trend. Remainder irregular in line with quality.. Read more. Market opened to good demand. Liquoring Assams around last with few lines appreciating. Reminder around last and few browner sorts irregularly easier. Small weight of Dooars seen so far steady to occasionally dearer. . Read more. Market opened to strong demand. Clean well made whole leaf, brokens and fannings readily absorbed at firm to dearer rates. Remainder whole leaf, brokens and fannings firm around last. . Read more. GOOD DEMAND. GOOD / BEST SORTS SOLD SO FAR ARE FIRM AND APPRECIATING FOLLOWING QUALITY. MEDIUM TEAS ARE IRREGULAR AROUND LAST. PLAINER VARIETIES NOT YET OFFERED.. Read more. Market opened to good demand. Liquoring Assams and well made mediums irregular around last. Cachars similar trend. Few Dooars seen so far tending easier following quality. . Read more. Fair demand. Whole leaf varieties sold in line with quality. Brokens and fannings faced resistance. Selective export enquiry. TGBL operated. Local market good support. . Read more. Market opened to good demand. Liquoring Assams selling readily around last levels. Mediums and fibrous secondaries irregularly easier. Dooars not yet seen. . Read more. Market opened to strong demand. Good and best descriptions are firm. Remainder around last levels. Medium and plainer categories yet to sell.. Read more. Market opened to strong demand. Clean well made whole leaf, brokens and fannings selling at firm to dearer rates. Remainder whole leaf, brokens and fannings firm around last. . Read more. Market opened to good demand. Best sorts selling around last while good liquoring fannings being appreciated at times. Remainder not seen so far.. Read more. MARKET OPENED TO GOOD DEMAND. NOMINAL QUANTITY OF GOOD/BEST SORTS SOLD SO FAR ARE FIRM AND APPRECIATING FOLLOWING COMPETITION. MEDIUM/PLAINER VARIETIES ARE IRREGULAR AROUND LAST.. Read more. Market opened to good demand. Liquoring Assams barely steady and irregularly easier. Medium Assams following similar trend. Plainer Assams and Dooars not yet sold. . Read more. Market opened to good demand. Assams around last with browner teas and secondaries tending irregularly easier. Dooars not yet seen. . Read more. MARKET OPENED TO GOOD DEMAND. MEDIUM AND PLAINER VARIETIES OFFERED SO FAR ARE IRREGULAR AROUND LAST. GOOD AND BEST SORTS NOT YET SEEN. . Read more. Market opened to good demand. Select good & best sorts around last. Remainder irregular following quality.. Read more. Market opened to good demand. Select best liquoring teas barely steady. Remainder irregular following quality.. Read more. Market opened to strong demand. Clean well made whole leaf, brokens and fannings selling readily at firm to occasionally dearer rates. Remainder whole leaf, brokens and fannings firm around last. . Read more. Fair demand. Whole leaf varieties sold in line with quality and occasionally tended easier. Brokens and fannings witnessed withdrawals and sold at levels lower than last. Limited export enquiry. TGBL operated. Local markets fair support. . Read more. Market opened to good demand. Few clean grainy Assams steady.Browner fibrous Assams witnessing some withdrawals. Few Cachars seen so far similar trend. Dooars unsold. . Read more. Market opened to good demand. Assams barely steady around last levels with browner sorts irregularly easier. Small weight of Dooars seen so far irregularly easier. . Read more. MARKET OPENED TO GOOD DEMAND. GOOD AND MEDIUM TEAS SELLING IRREGULARLY EASIER FOLLOWING QUALITY. PLAINER VARIETIES NOT YET OFFERED.. Read more. Market opened to strong demand. Clean well made whole leaf, brokens and fannings firm to occasionally dearer. Bolder whole leaf following similar trend. Remainder whole leaf, brokens and fannings irregular around last. . Read more. Market opened to fair demand. Good and best categories barely steady. 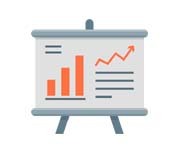 Remainder selling easier.. Read more. Fair demand. All whole leaf varieties sold in line with quality. Brokens met with resistance, while Fannings witnessed some withdrawals. Some export enquiry. TGBL selective. Local markets active. . Read more. Market opened to fair demand. Good liquoring teas barely steady while remainder easier following quality.. Read more. Market opened to good demand. Liquoring Assams irregular around last and at times easier. Well made, cleaner mediums around last. Dooars and Cachars not seen so far. . Read more. MARKET OPENED TO GOOD DEMAND. GOOD AND MEDIUM SORTS SOLD SO FAR ARE SELLING AT IRREGULARLY LOWER LEVELS. PLAINER VARIETIES BARELY STEADY.. Read more. Market opened to good demand. Liquoring Assams irregularly easier.Cleaner sorts around last. Dooars and Cachars not seen so far. . Read more. Market opened to fair demand. Good and Best sorts selling easier following quality. Mediums and plainer categories yet to sell. Liquoring secondaries readily absorbed.. Read more. Market opened to good demand. Best categories selling at barely steady and at times easier. Remainder following similar trend. Medium and plainer categories yet to sell.. Read more. Market opened to good demand at lower levels. All sorts irregularly lower particularly tippy well made whole leaf and larger brokens which also witnessing withdrawals. . Read more. Good demand. All whole leaf varieties sold in line with quality. Brokens met with some resistance while Fannings witnessed withdrawals. Useful export enquiry. . Read more. Market opened to good demand. Liquoring Assams tending easier following quality. Cleaner mediums around last. Dooars and Cachars not seen so far. . Read more. Market opened to good demand. Assams tending easier particularly liquoring secondaries. Dooars similar Trend. . Read more. Market opened to good demand at lower levels. All sorts selling at irregularly lower rates particularly tippy and well made whole leaf which at times also witnessing withdrawals. . Read more. MARKET OPENED TO GOOD DEMAND. MEDIUM AND PLAINER VARIETIES SOLD SO FAR ARE IRREGULAR AROUND LAST FOLLOWING QUALITY. GOOD AND BEST SORTS NOT YET OFFERED. . Read more. Strong demand. All whole leaf varieties sold at around last levels. Brokens and fannings were steady. Useful support forthcoming from exporters. TGBL operated for medium and low elevation varieties. Local markets active.. Read more. Market opened to good demand. Few select grainy Assams irregular around last.Remainder tending lower in line with quality, particularly browner & fibrous sorts. Dooars following similar trend. . Read more. Market opened to good demand. Best category barely steady. Remainder all round easier.. Read more. Market opened to good demand. Good liquoring teas are tending easier. Remainder irregular and lower following quality.. Read more. Strong demand. All whole leaf varieties sold at around last levels. Brokens and fannings were a strong feature. Useful support forthcoming from exporters. Export enquiry for fannings. TGBL operated for medium and low elevation varieties. Local markets active. . Read more. Market opened to good demand. All sorts around last and irregularly easier. . Read more. Market opened to good demand at lower levels. All sorts tending irregularly lower particularly bolder whole leaf and larger brokens which are also witnessing some withdrawals. . Read more. Market opened to good demand. Assams maintaining quality barely steady. Remaining clean and grainy teas around last. Browner and fibrous sorts tending easier. Few Dooars and Cachars seen so far tending little lower. . Read more. MARKET OPENED TO GOOD DEMAND. NOMINAL QUANTITY OF CLEAN AND GOOD LIQUORING VARIETIES APPRECIATING FOLLOWING COMPETITION. MEDIUM CATEGORIES IRREGULAR. BROWNER SORTS TENDING LOWER. PLAINER DESCRIPTIONS NOT YET OFFERED.. Read more. Market opened to good demand. Good and best sorts selling around last. Clean, grainy mediums and plainer categories firm. Well made secondaries readily absorbed.. Read more. Market opened to good demand. Select good liquoring teas barely steady. Clean medium and plainer categories around last. Remainder irregular and lower following quality.. Read more. MARKET OPENED TO GOOD DEMAND. NOMINAL QUANTITY OF GOOD/BEST LIQUORING SORTS ARE IRREGULAR AROUND LAST. BROWNER VARIETIES ARE TENDING LOWER. MEDIUM AND PLANIER CATEGORIES NOT YET SEEN.. Read more. Market opened to good demand. Liquoring Assams irregularly easier. Mediums barely steady and irregularly lower. Dooars similar trend.. Read more. Strong demand. All whole leaf varieties sold at attractive rates. Brokens and fannings were also a strong feature. Useful support forthcoming from shippers to the continent/Japan. Export enquiry for fannings. TGBL operated for medium and low elevation varieties. Local markets active.. Read more. Market opened to good demand. Well made whole leaf, brokens and fannings readily absorbed. Remainder whole leaf, brokens and fannings irregular and at times tending lower.. Read more. Market opened to good demand. Assams barely steady and irregularly easier with decline in quality.. Read more. Market opened to good demand. Good and best sorts barely steady. Medium and plainer around last. Well made secondaries readily absorbed.. Read more. Market opened to good demand. Good liquoring teas sold so far are easier particularly smaller brokens and fannings. Clean medium and plainer categories are barely steady.. Read more. From teas, to coffee, to rubber, check out our commodities and publications.